Today marks the end of my summer holidays. Back to work tomorrow, and I’m looking forward to it. So, I made it a day of pampering. It was great – gym, sauna, massage, shopping, movies, home for a delicious home cooked dinner and in bed well before my usual bed time. Success. Any other yarn-addicts out there? Have you found a way to blend it with your fitness / gym activities? Never seen that before. I like unique creations so thumbs up! 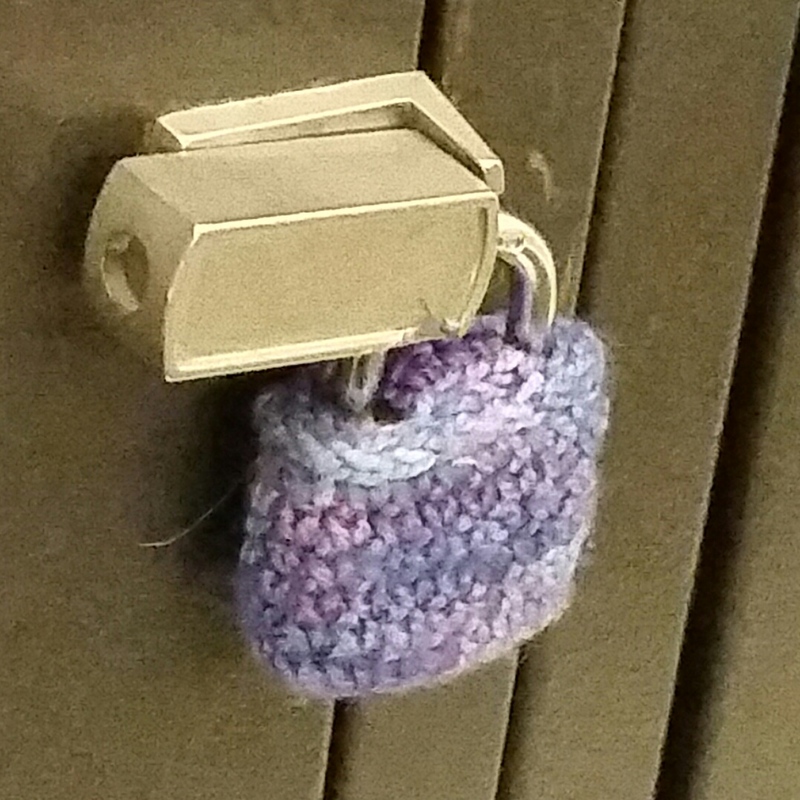 I like finding odd little yarn bombs in unexpected places. 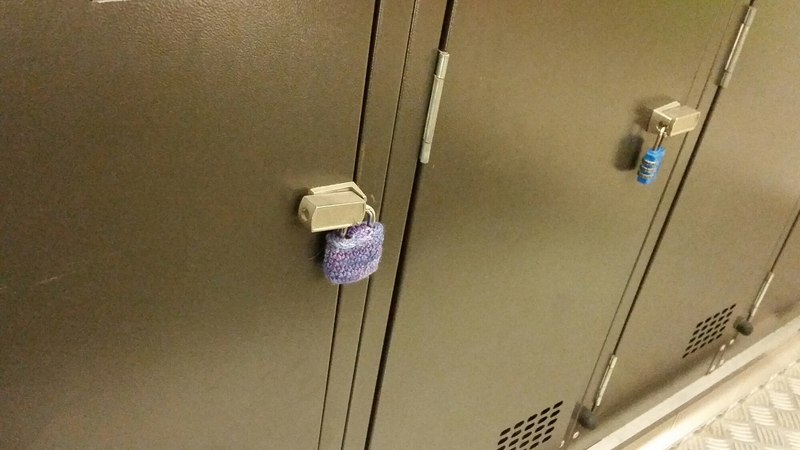 Crochet is easier than knitting, you should give it a go.